The concept of free will is the perfect example of human arrogance ever conceived. If a gas molecule collides with another gas molecule, simple physics can determine the momentum of the first gas molecule, the kinetic energy imparted to the second gas molecule, and the resulting trajectories of both molecule. Chemical reactions are likewise easy to calculate. Scale a system up to something the size of a human brain, and you have a perfectly predictable system. It’s complex, yes, but predetermined since the beginning of time. You are without moral agency, or any independent thought of your own. You are merely a passive observer in a vast, cold, uncaring universe. You are cursed with the awareness of this fact. 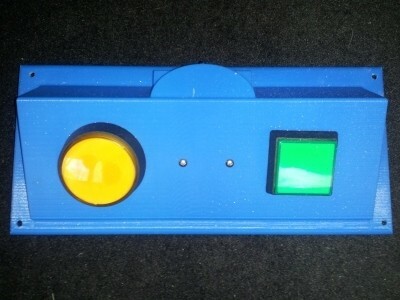 For his Hackaday Prize project, [Patrick Glover] is proving we don’t have free will. Will he win the Hackaday Prize? That’s up for the cold machinations of fate to decide. In the 1980s, psychologist [Benjamin Libet] performed an experiment. He connected an EEG to a subject’s arm and head, and asked them to flex their wrist whenever they felt like it. It turns out, an area of your brain generates an EEG potential a significant time before the subject is aware of deciding to flex their wrist. This is a foundational study in the physiology of consciousness, and direct evidence an IRB is okay with giving subjects an existential crisis. [Patrick] is in the process of replicating the [Libet] study. Unlike the 1980s experiment, [Patrick] has access to handy Arduino shields and MATLAB, making the experimental setup very easy. The results, of course, will be the subject of philosophical debates continuing until the heat death of the universe, but we already knew that, didn’t we? Check out the comments below for objectors predictably saying they do, in fact, have free will. NFL preseason starts in just a few weeks. This year, it will come with a bit of a technological upgrade. The league plans to experiment with custom microchip-equipped footballs. Unfortunately, this move has nothing to do with policing under-inflation — the idea is to verify through hard data that a narrower set of goal posts would mean fewer successful kicking plays. Why? Kicking plays across the league have been more accurate than ever in the last couple of seasons, and the NFL would like things to be a bit more competitive. Just last year, extra point kicks were moved back from the 20 to the 33-yard line. Kickers already use brand-new balls that are harder and more slippery than the field balls, so narrowing the goal from the standard 18’6″ width is the natural next step. A corresponding pair of sensors in the uprights will reveal exactly how close the ball is when it passes between them. The chips will only be in K-balls, and only in those kicked during the 2016 preseason. If all goes well, the league may continue their use in Thursday night games this season. We couldn’t find any detail on these custom-made chips, but assume that it’s some kind of transmitter/receiver pair. Let the speculation begin. If you want to see more IR and universal remote��projects, check out our new infrared and universal remote projects list. See a project I might have missed? Don’t be shy, just drop me a message on Hackaday.io. That’s it for this week’s Hacklet, As always, see you next week. 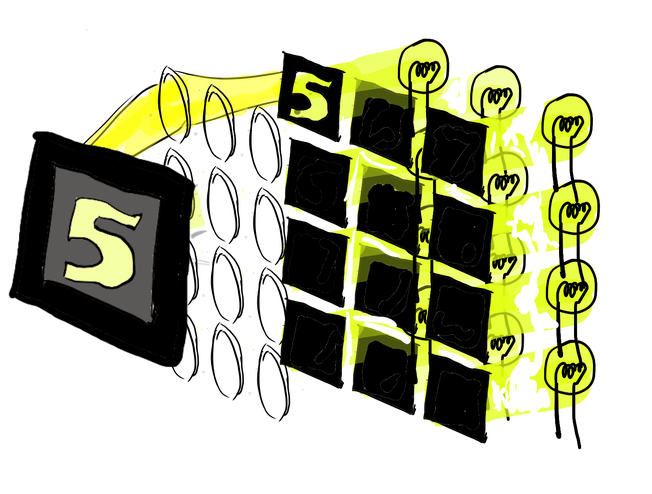 Same hack time, same hack channel, bringing you the best of Hackaday.io! It’s hard to beat a vintage clock for something that you can hack, and that your significant other might actually let you display in your home. It’s practical and it’s art all at the same time! But, finding that perfect vintage clock for restoration can be a bit tricky. A crowd favorite is to choose something with intricate mechanisms and gears — the motion of a mechanical display is just so fascinating. [Gavin] managed to find a clock that is every bit as interesting without any moving parts. The clock uses a unique system of bulbs and screen masks to project each digit of the time onto glass, which creates a pretty cool look you’re not likely to see on other devices. As cheap as LCD and 7-segment displays are these days, it’s hard to imagine a time when an intricate solution like this — using 72 light bulbs — was considered practical. Of course, what isn’t practical is replacing 72 incandescent bulbs, just to have them start the process of burning out all over again. [Gavin’s] solution to this problem was to replace the incandescent bulbs with LEDs. After getting the color temperature right (to replicate the vintage warm glow), he was able to use a jig system to get the LEDs positioned correctly to project the digits properly. This certainly isn’t the first time we’ve seen a unique clock design, but there is something intriguing about seeing a design like this that never quite caught on. It’s a little bit of technological history that even your significant other will think is cool. The audio hacks that come out of [Bruce]’s Cornell ECE classes are always a treat. From the lock that you have to sing to open, to chiptunes programmed into an FPGA, there’s something for music fans of all inclinations.